Milan, Italy. 1946. It was the eve of the first anniversary of the liberation of Italy from fascist clutches. Cimitero Maggiore di Malano, also known as Musocco cemetery, housing almost 500,000 bodies, was as quiet as any cemetery is at night. But through the darkness came the faint sounds of digging and muttering. Domenico Leccisi, a 25-year-old Italian journalist, and two friends were digging up an unmarked grave. They hit the coffin—a plain and austere looking coffin. There was clearly no ceremony when this body was buried. The three men prized the coffin lid open and peered inside, where lay the body of Benito “Il Duce” Mussolini. His body, far from just a skeleton, bore the four bullet wounds near the heart that had killed him. It didn’t matter that his face was unrecognizable after a year of decay, not to mention the posthumous pummelling it received from a furious crowd. It was definitely him. Rewinding back almost a year to the day, Mussolini headed for Switzerland with his mistress Clara Petacci, hidden amidst a German convoy. 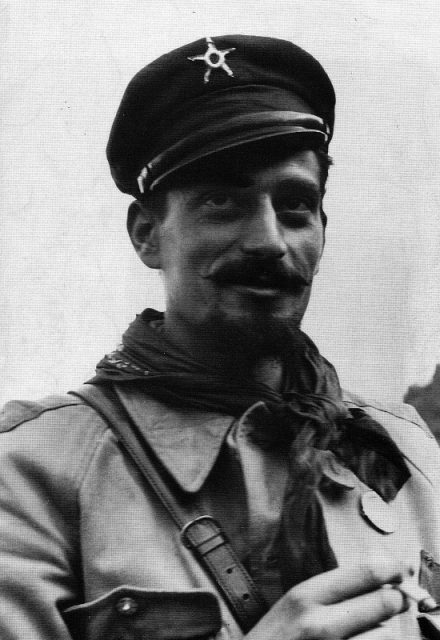 Passing the village of Dongo, the vehicles screeched to a halt as Urbano Lazzaro, Pier Luigi Bellini delle Stelle, and their band of communist partisans launched an attack. Motivated by the Italian human cargo, the partisans struck a deal with the Germans, allowing them to proceed in exchange for their compatriots. It was only when the trade was set into motion that the band of communists realized who they had captured. “His face was like wax and his stare glassy, but somehow blind. I read utter exhaustion, but not fear…Mussolini seemed completely lacking in will, spiritually dead,” Lazzaro said in reflection. Mussolini abandoning the Prefecture in Milan on 25 April 1945. Believed to be the last photo of him alive. On April 28, members of an Italian partisan group drove to the farmhouse where Mussolini and Petacci were being held, picked them up, and then drove to Villa Belmonte in the village of Giulino de Mezzegra. Pulling up outside the villa’s entrance, the pair were ordered out of the car and told to stand against the wall. 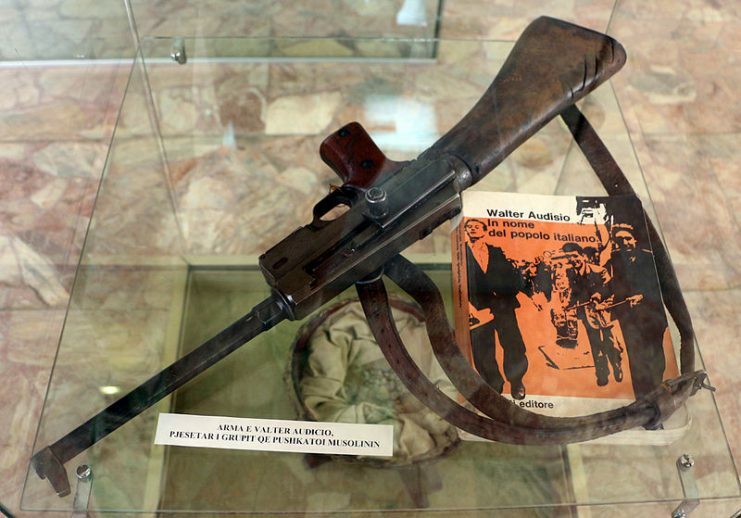 Walter Audisio, an anti-fascist partisan who was previously imprisoned under Mussolini’s rule, stepped up, took aim, and fired. Nothing. His gun had jammed. 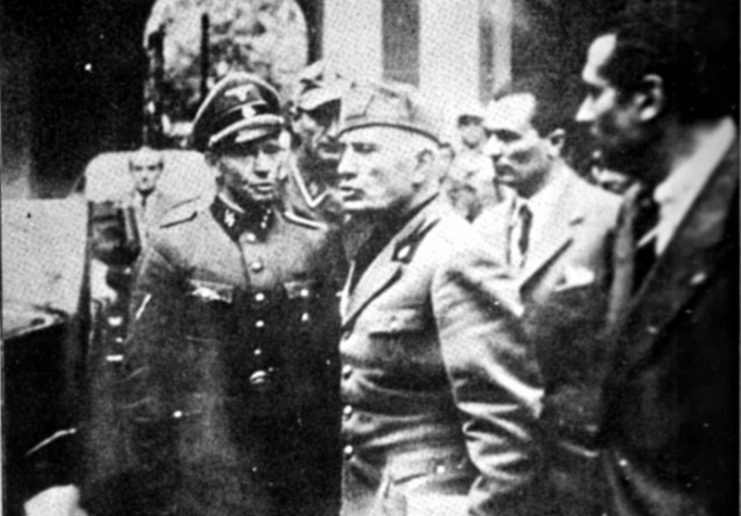 Mussolini and Petacci were left standing by the side of the small lane while the issue was resolved. Borrowing his colleague’s sub-machine gun, Audisio gripped it with both hands and fired. 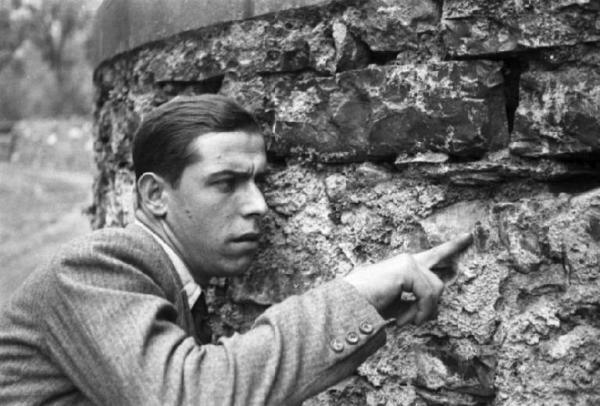 Urbano Lazzaro, 1945, indicating a bullet hole near the entrance to the Villa Belmonte. Or so the story goes. Variations of accounts from those that were present at the execution, along with entirely different series of events, have been suggested over the years. But one thing is for sure, Mussolini and his lover were eventually killed. One year later, journalist and neo-fascist Domenico Leccisi managed to get his duce’s body to safety in very nearly one piece. The body was then transported from hiding place to hiding place, so that over the course of 16 weeks, Mussolini’s body had seen the interiors of a villa, a monastery, and a convent. 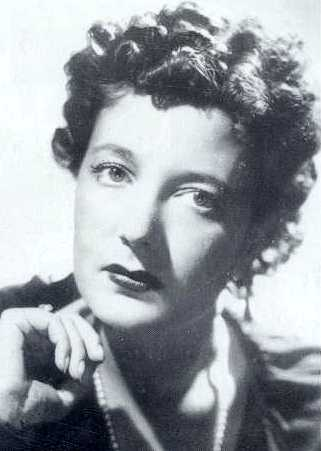 Claretta Petacci, Mussolini’s mistress, was captured and executed with him. 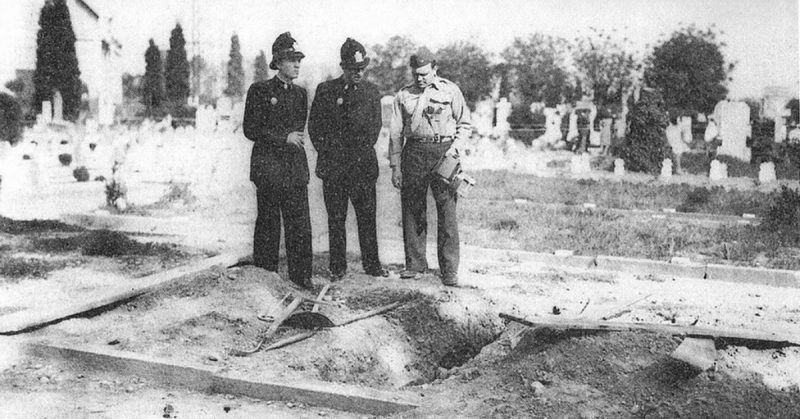 Whether it was while initially dragging the body out of its hole, or hauling it from place to place, the grave robbers managed to lose one of Il Duce’s legs. His one-legged body was finally discovered some four months later in a 15th-century Franciscan monastery by Italian authorities. Two monks were caught and charged with hiding Mussolini’s body, and a nationwide manhunt was launched in search of the culprits. The authorities took the body in top secrecy to a monastery 15 miles away. Eventually, Leccisi was caught and sentenced to 6 years imprisonment. Not long after, he was released due to an Italian amnesty for some Fascist-era crimes. 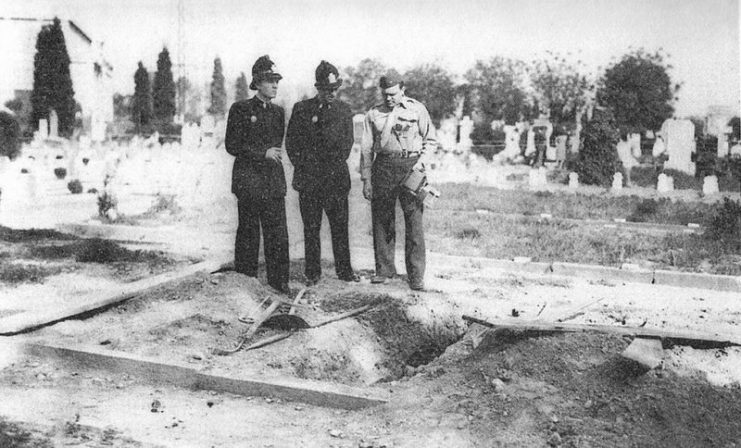 Mussolini’s tomb at the Maggiore Cemetery in Milan after the removal of the body. As a journalist, it is probably safe to assume Leccisi saw a lot of himself in Mussolini. “The Body Snatcher,” as he was now known, decided to pursue a career in politics in an attempt to follow his duce’s footsteps. From 1953 to 1963, Leccisi joined the Neo-Fascist Party and served as a deputy in the Italian Parliament. This time, he used his new-found political power instead of shovels and monks to pursue his goals. “The Body Snatcher” launched a campaign to have Mussolini’s body re-interned at his place of birth in Predeappio. The campaign pressured the Prime Minister Adone Zoli who needed the support of the right-wing, and he eventually conceded. Mussolini remains buried there today, and the types of tourists his gravesite often receives serves as a reminder of the prevalence of fascist loyalties still set in Europe and the rest of the world. Domenico Leccisi eventually left the Neo-Fascist Party in 1969, accusing it of “going soft.” He went on to create a new political group called the Public Defense Committee. Leccisi died in Italy at the age of 88.